I am writing this post about Unique gift ideas hand-picked from Grandpa Shorter's of Petoskey, Michigan. It's easy to find Christmas gifts, birthday gifts, anniversary gifts, personalized gifts and the top gifts for anyone on your list in their new online store. I am being sent a gift card as thanks for sharing. All opinions are my own. Voted Northern Michigan favorite gift shop for 64 years! Grandpa Shorter's Gifts is located in downtown Petoskey, MI. They carry anything from Minnetonka Moccasins to Petoskey stones and have everything in between. The items that caught my eye the most were their delicious edible gift items. I've found that when gift giving you can hardly go wrong with something that is tasty to eat. Their new online store means you can order your favorite items without even getting out of your pjs. 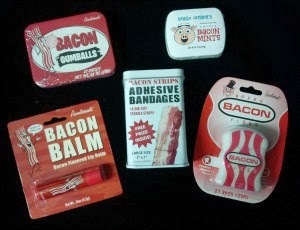 I might get this bacon themed gift set bundle for my husband. He loves all things bacon! My tween daughter or niece might like a Lori Mitchell figurine for her bedroom shelf. For my hard to shop for Father-in-Law I might think of grabbing him a petosky stone gift. 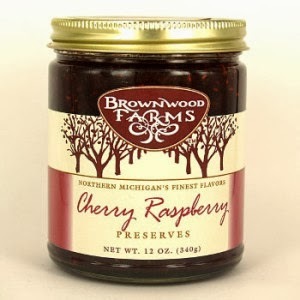 For the foodie sister on my list some delicious Brownwood Farms, MI cherry preserves. On my wish list is a vintage looking personalized sign that I'd love to hang in my breezeway. As you can see Grandpa Shorter's carries a wide variety of really neat items. Their online store accepts Paypal and you can pay with your credit card if you do not use Paypal. They also have gift cards available for purchase if you like.